Many people do not take traffic infractions seriously. However, what they may not realize is that there are three types of traffic offenses in Virginia: traffic infractions, traffic misdemeanors, and traffic felonies. While a traffic infraction is less serious than a misdemeanor or felony, it can have serious consequences on your driving record and insurance rates. In addition, it can lead to your license being revoked or suspended in the future. Misdemeanor or felony convictions come with even more serious consequences. If you have received a ticket or been arrested for a traffic offense, you want to do everything you can to achieve the best possible outcome. This can ensure that you will be able to keep your driving privileges down the road and avoid having a permanent criminal record. Hiring an experienced traffic law attorney is an essential first step if this is your goal. What Are Traffic Infractions in Virginia? Traffic infractions are also known as traffic tickets. The penalties are often demerit points on your driving record and fines. These fines can be prepaid, and if you do so, you would not have to go to court. However, this is considered a conviction on your driving record. Driving on a suspended license. This is a Class 1 misdemeanor—the most serious in Virginia. The penalties include up to one year in jail, fines of up to $2,500, and a suspension of your license for 90 days. Driving on a revoked license. This is also a Class 1 misdemeanor with similar sentences to driving on a suspended license. However, a third offense would be a Class 6 felony. In addition, your driver’s license would be revoked—more serious than having it suspended with additional requirements for it to be reinstated. Reckless driving. 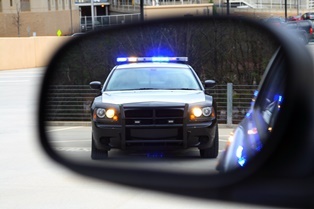 You can be charged with reckless driving for a number of speeding violations, such as driving more than 20 miles over the speed limit or over 80 miles per hour no matter what the posted speed limit is. This is a Class 1 misdemeanor, with similar penalties to driving on a suspended or revoked license. In addition, your driver’s license could be suspended for up to one year. DUI. A first offense DUI charge is a Class 1 misdemeanor. The penalties can include a fine of between $250 and $2,500, jail sentence of up to one year, revocation of your license for one year, and more. Felonies are the most serious offenses in Virginia. The penalties are more severe, and you would serve any sentence in a state correctional facility rather than a jail. Two common examples of traffic offenses that are charged as felonies are third offense DUIs and hit and run accidents where the victim is seriously injured or killed. A third offense DUI can carry a mandatory prison sentence of three to six months, a fine of $1,000, and a three-year license suspension. A hit and run felony conviction can result in a prison sentence of up to 10 years, a $2,500 fine, and suspension of your driver’s license for up to one year. No matter whether you are charged with a traffic infraction, misdemeanor, or felony, you need an experienced traffic law attorney to help you build your defense so that the ticket or charges can be dismissed or reduced to a less serious offense. Start an online chat today to schedule a free consultation with our traffic law legal team. When Can Your Driver’s License Be Suspended or Revoked?